The wait is finally over. Going Rogue is now available! 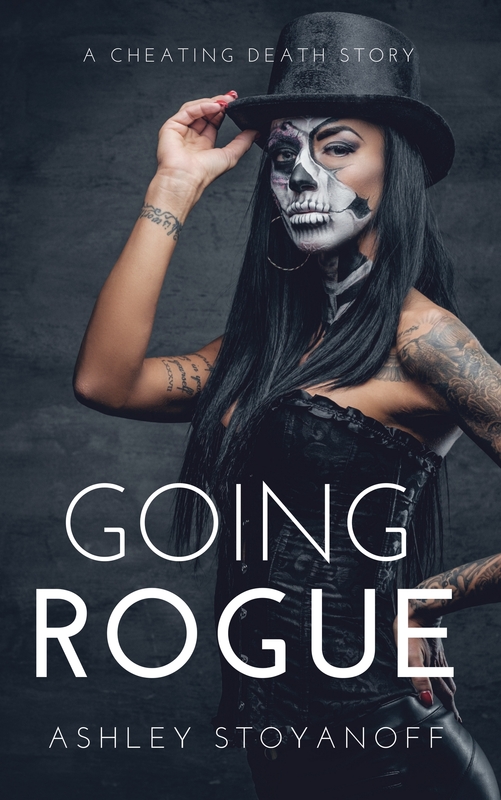 Going Rogue e-book is an Amazon exclusive and available on Kindle Unlimited for FREE! We all die. Some of us sooner than later. Alexa Cross never thought her existence would revolve around death. In life, as a nurse, she helped save people. But life has a funny way of throwing the unexpected because, in the afterlife, she spends her time watching people die and collecting their souls. As much as she wants to stop the deaths, she knows death is inevitable, and it cannot be stopped. However, when a serial killer decides to take up shop in her district, Alexa can’t sit back and do nothing. No one should die like that, and she’s determined to alter Death’s timeline. However, to do that, she needs to embrace who she is now and break some rules. It’s the only chance she has of stopping the person responsible for the vicious murders. Don’t have a Kindle? Download the reading the Kindle App and read Going Rogue today. Two Truths and a Lie (PRG Investigations, #1) is now FREE on all platforms. 2017 is going to be an exciting year. I have lots on the go, and lots planned for you all. I know some of you are waiting for specific titles, and I wanted to update you all on where I’m at with each project. But before I get into the status of each book, I’d like to take a moment to talk about release dates. In 2017 my release dates will mostly be surprises. As soon as a book is 100% complete, it will be uploaded, and I will tell you all when it goes live. I know a lot of you have been asking me for firm release dates, but life has been crazy over these last few months, and I’d prefer to surprise you all than disappoint with a delay. I hope you all understand. With that said, here is the 2017 release list with status updates. Jared is getting close. The first rounds of edits are finished, and I’ve been working on re-writes. I do love this story, and I hope, when it’s ready, you all will love it, too. But it’s not ready to be seen yet. Something is missing, so I’m still in the re-write phase, working hard to perfect it for you all. Bear Instinct is currently in the second draft phase. Some major re-writes are happening, and a few extra chapters being added. More updates will come on this book as soon as they are available. Wesley’s story is coming along. As of today, I’m working on the first draft and having a lot of fun with it. I’ve missed those PRG guys, and it’s been awesome working with them again. I haven’t spoken much about this story, and there isn’t much to tell right now, but what I can say is that it’s a fun story involving a witch, a bear shifter, and Cupid. I’m excited about this book, and I hope you all will love it. Currently in the plotting phase. Well, these are my updates for the stories that will be released in 2017. Please note that they are in no particular order and the order listed does not reflect which one will be released first. I do want to thank all of my readers for your patience and understanding while I work on these books. I love you all and couldn’t do this without your support. Liv loves Jaxon, too bad he is nothing but a liar. She broke up with him because he hid things from her, like the fact that he’s the Prince of Hell. 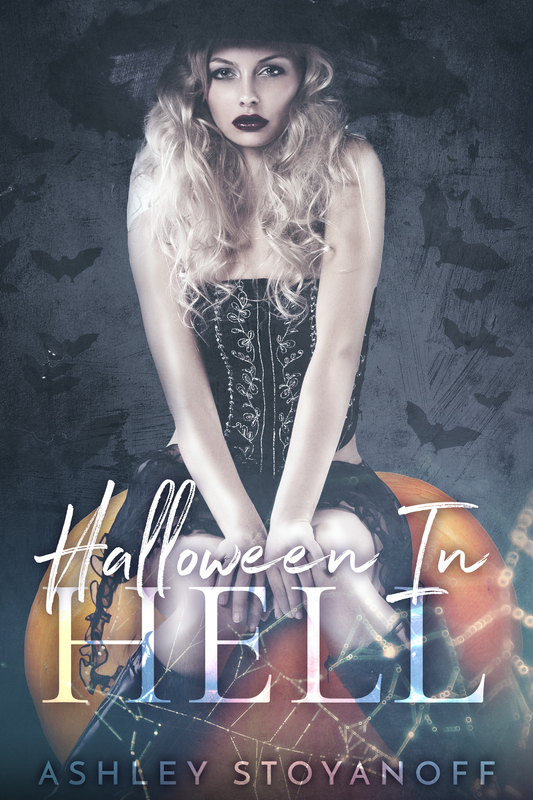 In an effort to win her back (or at the very least, get her to see him again), Jaxon throws a Halloween party in Hell hoping she’ll show. He knows if he can get her to hear him out, she may give him another chance. Will Jaxon get her to forgive him, or will Liv walk away from the man she loves? Reader Note: This short story is a standalone with a happily ever after, and contains sexual material. I’m sitting in my writing cave staring out the window at all of the beautiful colors that are beginning to appear on the trees. Ironically my thoughts aren’t on the oranges, yellows and greens that are appearing early this year because of the dryness of the summer but rather, on the fact that I miss being able to run outside and jump in a pile of leaves without people looking at me as if I’m crazy. Fall is by far my favorite time of year, but I can’t help but remember how much more fun it used to be. As kids, we’d go out and rake up big piles of leaves and jump in them. Now I just groan at the thought of having to rake. I used to spend hours and days planning the perfect Halloween costume. This year, I have to wait until the last minute to buy candy for trick-or-treaters so that I don’t eat it all before ‘show time’ (like I did last year, and the year before, and the year before, and, well, you get the picture). Fall was so much simpler as a child. There was fun to be had around every corner. I could take the time to stop and look at the beauty around me as Mother Nature prepares her forests for their winter’s nap. So this fall (and the winter too) I’m challenging myself to take 5 minutes a day to actually enjoy the beautiful world around me. I’ll simply enjoy the scenery or revisit an old childhood pass time that is perfect for this time of year. I’m going to take the time to reconnect with my favorite time of year. Will you take the time to enjoy life as well? Release day is quite possibly the most nerve wracking moment in any author’s career. No matter how many times you go through it, the nerves are a buzzing as your novel starts to go live across the world. As an author you’ve spent hours, days, months, possibly even years finalizing and tweaking your story, pouring your soul into the words on the page. When it’s finally published and out of your hands, you’re sharing part of yourself with the world at large and waiting on their reaction and reception is one of the most gruelling moments of your life. Sitting there, staring at your computer screen, waiting to see the initial sale numbers, watching the online rankings is almost a must. Waiting for reviews to start coming in is even worse. Not only are people buying your ‘baby’ but they’re telling you what they think of your work. But release day count down is important on the reader’s side of the scale as well. I may be an author, but I’m also an avid reader. I stalk my favorite authors and know when their next releases are all coming out. I pre-order many of them, or show up at my local bookstore on release day to be one of the first to get my hands on a physical copy. I curse delays in release (even though I know that authors have lives too, and sometimes the unavoidable happens) and when I finally get my hands on that long awaited new novel, I binge read it that very same day. Release days are exhilarating from both sides of the scale. As an author I’m lucky to experience it all, but in the back of my mind, I always wonder, do people look at my work the same way that I do with the authors I enjoy? What do you think? Please join us on September 25th, to help celebrate my upcoming release, IF I COULD DO IT AGAIN, an adult, contemporary romance which I’m excited to share with you all. We’ll be celebrating with some fun games, giveaways, and teasers. Make sure to invite your friends! You don’t want to miss this! This conversation between Alice & the Mad Hatter is comical yet also quite inspirational. When you think about it, Alice is basically telling the Hatter to just be himself, and the best version of himself that he can be. Ignore stereotypes and just be you. “Crazy” is one of those words that historically has a bad undertone. People use it to signify things that they don’t understand and people whose actions they don’t agree with. But for many of us, it also symbolizes things that are fun or slightly outside the box. We each have our own definition of what’s crazy. Some people may say that reading a novel in a single afternoon is crazy. Many of us would say that’s a normal occurrence with a good book. I think that running a marathon is crazy (though admirable) yet at the moment my sister is training to do just that. Heck, it wasn’t that long ago that flying across the country or speeding down a highway would have been considered crazy yet now it’s an everyday occurrence that we take for granted. When you stop and think about it, crazy isn’t necessarily a bad thing. We all have our own brand of crazy. None of us can go through life without having at least a day or two when our ‘crazy’ shines through. So what do I say to this? Go with it! Have fun! Act a little crazy at times and get out of your box. Life is so much more fun when you live it. How do you sort your libraries? I finally cleared myself some time in my schedule to read a book I’ve been dying to dive into. You know the one; that next in series, have to have it, bought it release day a year ago and somehow still haven’t dug into it yet. Yeah, that one. We’ve all got some of them and eventually we all make the time to read them (and if you’re like me, it’s because the book after it is about to be released, lol). But back to my point, I finally found the time to read this book. I was so excited, but then my difficulties started. I couldn’t find it anywhere. It wasn’t on any of my book shelves. I had the rest of the series in paperback so I assumed that this novel would follow suit. I searched and searched. Checked under the bed, looked everywhere to no avail. I was starting to panic. I called my sister and my mom, the only 2 people allowed to borrow books from my sanctuary. Nope. I hadn’t loaned it to either. Where oh where could I have put it? Where to search next? My Kindle? After searching through my entire ereader and the Kindle Cloud just in case it didn’t download properly I determined that it wasn’t there. Searching my Kobo library had similar results. I even checked Google Play Books on the off chance that I decided to put it on my phone. Finally, after 3 hours of searching I found my purchase! It was on iBooks. Apparently the book was released the same week that I was all excited about my new iPad. Or maybe it was on sale on that platform. Who knows why I chose to buy one book there. So, after hours of searching (when I could have read half the novel) I finally found it and had to take a break from my ‘non-reading’ to calm down enough to be able to read this novel (that was fantastic by the way). The moral of this story is that with all of these technological advances I need to find a better way of ‘shelving’ my books. So how do you sort your libraries? Do you have different lists? 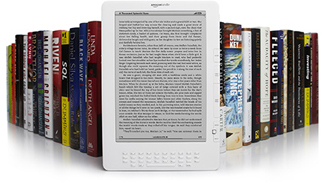 Minimize the formats in which you purchase books? A special shelving code? Are you simply one of those readers who doesn’t have a huge TBR pile? Let me know!